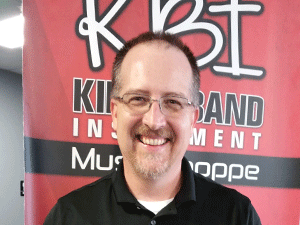 KBI Music Shoppe is a family owned business that was established in 2009 and was previously known as KBI REPAIR. As the company has grown we needed a new name that would better describe all of the products and services we offer. We are located in Fredericksburg, VA which is located halfway between Richmond, VA and Washington D.C. Currently we service schools in Spotsylvania, Fredericksburg, and Stafford. Our business started by simply repairing a few band instruments for the local schools. We specialize in brass instrument and woodwind instrument repair. From there we have started offering rental instruments and accessories and soon will be able to offer new instruments and an online store for easy shopping. Dan is a retired Marine who spent 12 years in the Marine Corps Band playing trumpet and repairing instruments. 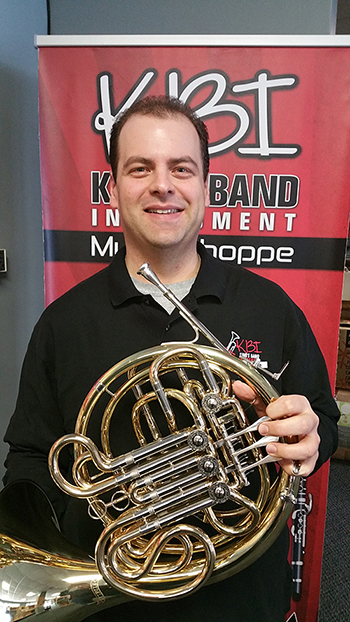 Dan worked as an apprentice for several years at three different Marine Corps Bands and then attended RED WING TECHNICAL COLLEGE in Minnesota, graduating with a 4.0 in the Band Instrument Repair Program. 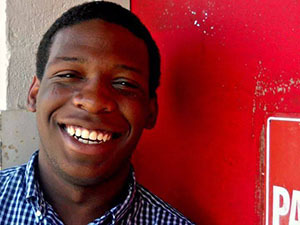 While stationed in Southern California, he provided services for local music stores and schools. He has performed professionally across the Pacific rim, for President Bush (41), and with the late Michael Kamen. The last 11 years in the Marine Corps were spent as a Logistics Officer. He retired from the Marine Corps in 2012 and currently works for the DoD at Quantico. 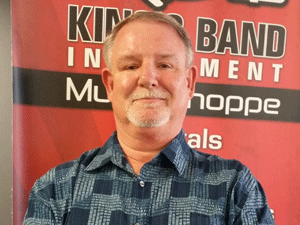 Dan is a member of NAPBIRT- National Association of Professional Band Instrument Repair Technicians. 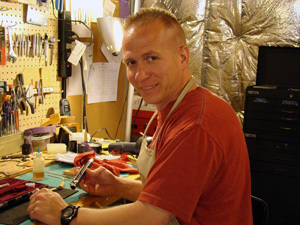 Dan loves repairing instruments and finds satisfaction in fixing what is broken. He can repair anything – just ask some of the band directors we have worked with! Ricia is a North Carolina native who graduated from UNCG and spent 10 years as a flight attendant with USAirways. As a Marine Corps spouse she had the privilege of helping other spouses as a Readiness and Deployment Specialist for Marine Corps Family Team Building. She is now the business owner for KBI Music Shoppe and coordinates the pick up and drop off of instruments with the schools and individuals. 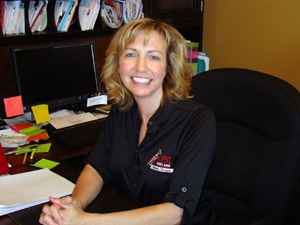 She also handles all of the rental agreements and works with vendors to ensure that parts and accessories are available. 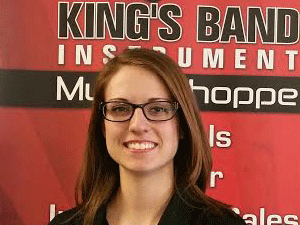 Ricia King and KBI Music Shoppe are members of NASMD - National Association of School Music Dealers and NAMM - National Association of Music Merchants.